Welcome to to the official Go-Green Windows & Doors blog space. Thank you for taking the time to consider us for your window replacement or repair needs, among the many services we provide. In today’s initial post, we wanted to take the time to outline our services that we offer the Calgary community. This is only part one of a two part series in which we outline our window replacement, repair, and door installation services. But before we get started, please note that we have also been known as Fog-Out Window Solutions Ltd., just to clear up any potential confusion. Read on if you are interested in learning more about our door and window installation company! Go-Green Windows & Doors is no spring chicken, despite the fact that we are committed to using energy efficient glass in our work done. In fact, we have been a part of the Calgary community since 2004. That means we understand the exact needs of this area, and when you consider our weather around here that means a whole lot when we are talking about keeping the cold out and the heat trapped inside to keep you and yours as cozy as possible. Let’s take a look at the services we offer. Like we mentioned earlier, an alternative business name of ours is Fog-Out Window Solutions, and we want you to know that for good reason. One of our chief areas of expertise is to fix your foggy windows, because we understand what an inconvenience that problem can become. We will always do our best to recommend the option that is best for our customer in terms of comfort and affordability. Whenever possible we will suggest repair over new installation, but keep in mind that our energy-efficient glass can shave dollars off of your energy bill in the long-run. As part of our dual pane window repair services, we know how to get the fog out of your windows. It’s that annoying condensation that builds and stays between panes that can be so frustrating. It’s not an issue that is easy to handle yourself, so that is the reason why it’s one of our primary window repair services we offer. As a much less-expensive alternative to full-on window replacement, our window condensation repair service is ideal because it’s backed by our 10-year, 100 percent money back guarantee, should there be any reason at all why you are not entirely satisfied with the work you’ve received. Our foggy window repair option is such a great option for many reasons, but perhaps none better than the fact that it will extend the lifespan of your window system while saving your money by reducing your energy costs. It’s also about half the cost of a total sealed unit replacement, which brings us to our next window repair service we offer. 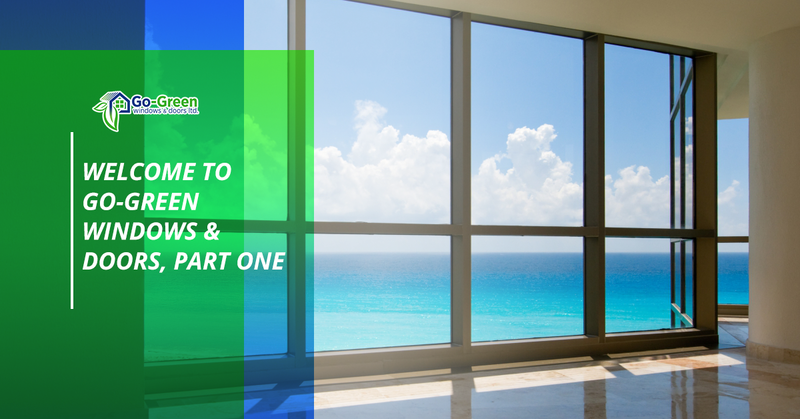 If you aren’t familiar with what a sealed unit is in the first place, don’t worry, this is an educational space about all things window and door related. We realize that not every one of our clients is going to be an industry expert, and that’s a good thing! We are happy to fill in the gaps of knowledge or understanding. A sealed unit is the space between a dual pane window that should be completely sealed for the purposes of insulating the inside of your home from the elements. The fact is that even the best dual or triple paned windows can lose the quality of their seal over time. The consistent expansion and contraction of the windows means that, eventually, all window will need to undergo some type of window repair in order to function optimally. The best way to tell if you are in need of a sealed unit replacement, or window condensation repair, is if you notice fog or condensation gathering on your window. That means your sealant is failing, which in turn means you will be spending a lot more on your heating bill to keep your house warm. Our best Sealed Unit Replacement option is certainly our Low-Emissivity glass, which is typically referred to as Low-E Glass. Whether it’s summer or winter, Low-E windows will keep your house either warm or cool with high-end insulation functionality. What’s more, Low-E glass blocks up to 61 percent of ultraviolet rays, which has the net effect of keeping your carpet and furniture from fading from the harsh summer sun. If you are deciding between foggy window repair or sealed unit replacement, it’s a good idea to include an expert in the field. As it so happens, Go-Green Windows & Doors is full of such experts! Remember that you can get a free consultation and quote at any time, as part of our commitment to exceptional customer service and care. Our mission at Calgary’s number one choice for door and window installation is simple: we help homeowners choose the best way to improve on their windows and doors. We are not a window company that will force the issue when it comes to replacement. For example, if foggy window repair is a viable option, we will certainly recommend it. Regardless of the service you are seeking, you can be confident that we will use our expertise in the industry to save you money with energy-efficiency, and add comfort to your home for now and years to come. With our ten year, 100 percent satisfaction warranty, the choice is as clear as your windows will be. Call us today!